Pete was taken to his first meeting when he was only seven and has been involved ever since, initially as a rider, later as clerk of the course and machine examiner and now as a long-time backer and sponsor of juniors. Seaton started riding at his local track Oxford when he was 21 and, after a spell as skipper of Sunday afternoon track Brafield, made his Second Division debut in 1969 for King’s Lynn. He moved to Crewe and then was a founder member of Peterborough’s side in their first ever meeting, setting the initial East of England Showground track record when he won the first race. After two seasons with the Panthers, he was forced to retire through injuries but never lost his enthusiasm for the sport. 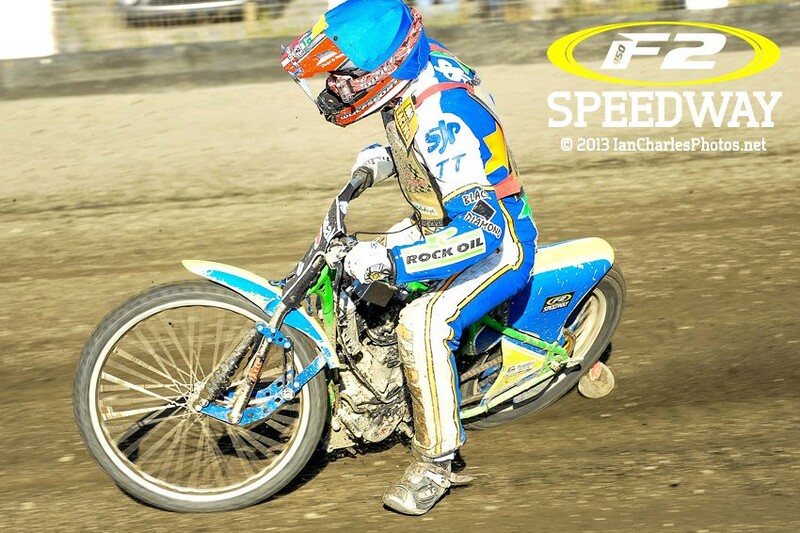 Aware that tracks – and competitors – are struggling financially in the most drawn-out recession Britain has ever known, he wants to see if F2 Speedway can revive the sport. Pete Seaton is convinced he’s found the secret of unearthing new British riders and come up with an exciting project, to launch a budget class of racing. Welcome to Formula TWO Speedway. 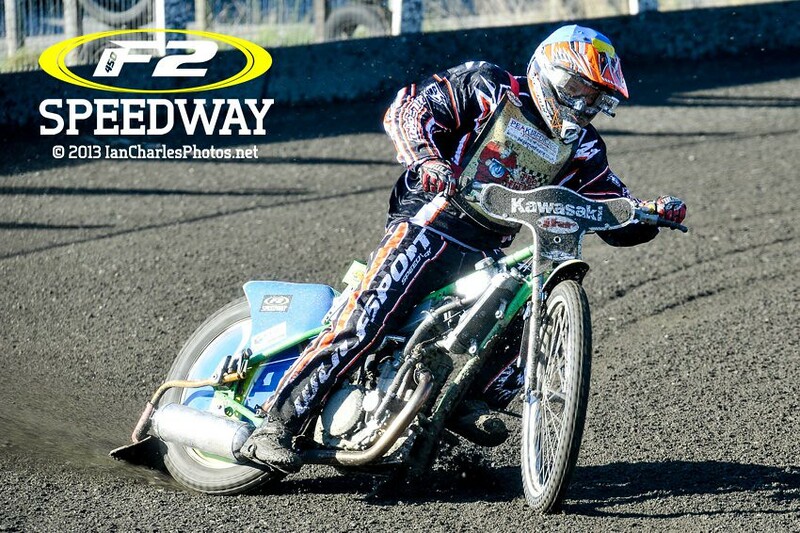 Pete said: “We have reached the point where everyone is cost conscious, the cost of getting into speedway has gone over the top, even the juniors are expected to go out and buy the equivalent of an F1 car to get into it and that just doesn’t work. “I’m involved in the junior scene all the time and see boys coming into it who go round and then find they have an engine bill of £500 or £600. They can’t afford it and they retire. Describing what spurred him into the experiment, Pete explained : “I went to America some years ago and saw the Flat Track scene over there and thought we had to be doing this in England. 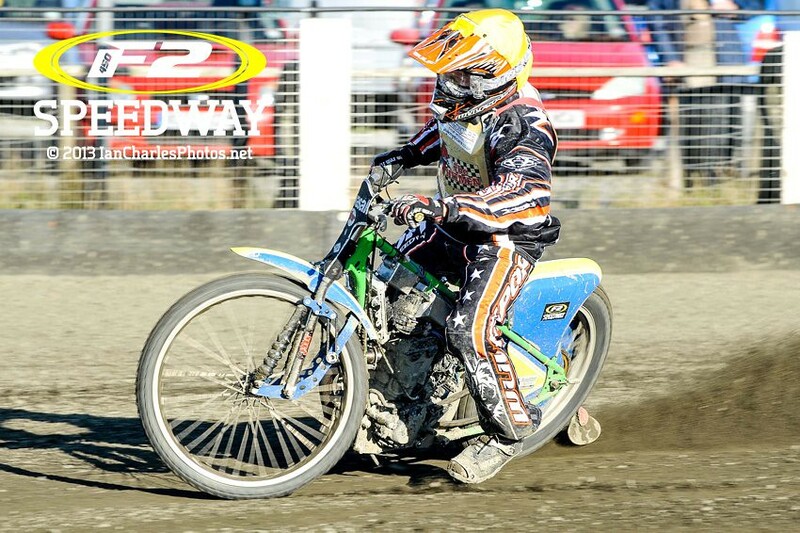 “Ex-speedway rider Peter Boast had also been over there and not only seen it but taken part in it and I asked him why he wasn’t doing this in England. “It took ages to get the short- track going here but he finally did it seven years ago. “Riders began using half a dozen different engines in the short-track and I began asking myself why aren’t we doing this in speedway? “We have got to try and get as many people involved as we can and if we get enough to do it I’d like to see an organised individual championship in 2015/2016. I’ve already got someone who will put up £1,000 as a top prize. After returning from his trip to America, Pete decided to go ahead with his experiment. Pete explained: “As no-one else was doing it, I decided to build a bike myself and got a Honda engine and sponsored Aidan Collins in his first season on the short track. “When he got factory sponsorship from Honda, I took the engine out and put it in a speedway bike, that’s basically how I got started. “Then I got a BMW engine for the right sort of money and decided to put that into a speedway bike as well and everything’s gone from there. Pete estimates the bikes will use only two pounds worth of petrol per meeting. Using Maxxis dirt track tyres, despite the extra initial price, riders will save enormously over the course of the season because of their durability. There will be no need to replace clutch plates (the clutches operate in oil) and no-one will need to purchase carburettors as they are built-in at the factory. He said: “There are so many savings, it’s unreal. It will be basically the same as conventional speedway but without so many of the costs. 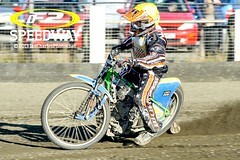 “Bikes will still have no brakes, a fixed gear, and everything else we think of as being real speedway. It’s just the engine unit that will be different but the bikes will be ready to go all the time. 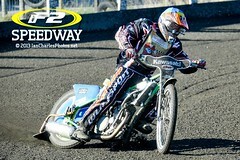 He added: “Speedway is still using 1928 technology in so many ways – we need to move into today’s technology. “There would be no need to make adjustments to the timing or the clutch in between races, you could do 100 starts and the clutch would be exactly the same. “It would speed things up as well and riders could even go to meetings without a mechanic. You don’t need a clutch cooler, all you need is someone to fill up with fuel. Between them, Aidan Collins, Adam Allot, Les Collins and Tyson Nelson have already carried out extensive testing at Rye House, Scunthorpe and Buxton using bikes fitted with a BMW 450X enduro engine and a Honda CRF 450 moto cross power unit. F2 in action at Ricky Ashworth Benefit. Engines and plates now available. 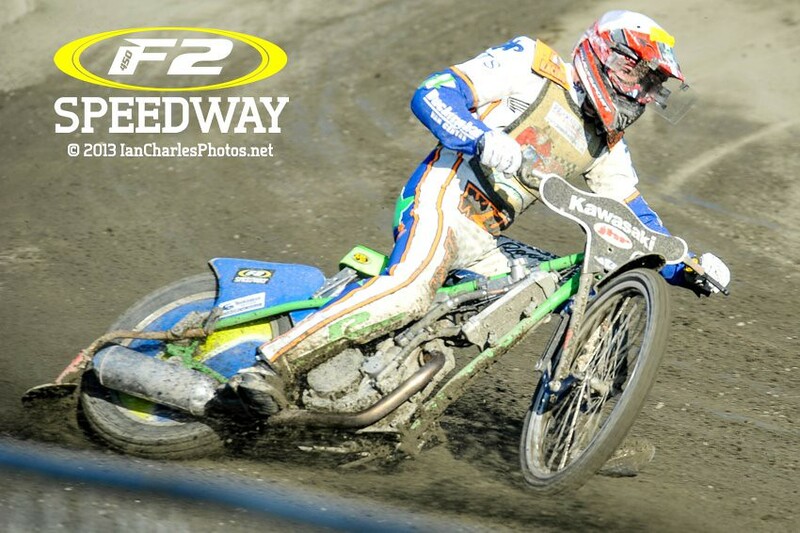 What is F2 Speedway ? © 2016 F2 Speedway. All Rights Reserved. Polish Translation courtesy of Bartosz Kuczynski.